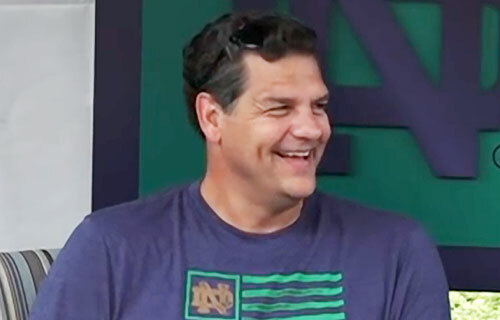 Mike Golic is a sports broadcaster and former NFL defensive tackle who played for the Houston Oilers from 1985–1987, the Philadelphia Eagles from 1987–1992 and the Miami Dolphins in 1993. Golic is the co-host of the Mike & Mike show on ESPN Radio plus he works as the color commentator for the Arena Football League. During his NFL career he played 115 games, made 11.5 sacks and 3 interceptions. Sports Speakers 360 is a booking agent for pro athletes. If you would like to book Mike Golic for a speaking engagement, appearance or endorsement, contact a Mike Golic booking agent for fees at 1.855.303.5450.